Favourite books for PLL – Das ist ein Buch/Wo ist mein Hut? Moving to Switzerland added German books to my book case where previously there had only been French and Spanish. Not very many as books are exorbitantly priced (I mostly borrowed them from the library) but some. Esel (Donkey) asks Was hast du denn da? Affe (Monkey) replies Das ist ein Buch. 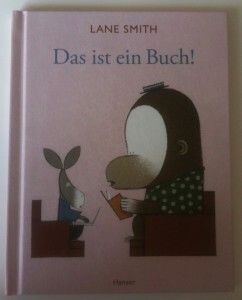 I love Das ist ein Buch because I’m Monkey when most people think that I’d be Donkey. I also like the ‘there’s more to life than swiping and tweeting and making noise’ message. 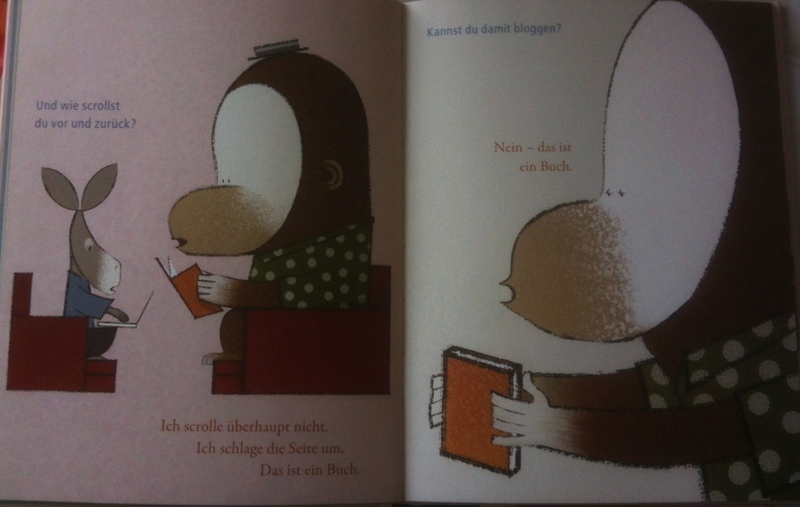 I think this would be a great story to share with a class, certainly the “Das ist ein Buch” refrain would soon be picked up, and the language is quite easy to decipher with clues from the pictures supported by actions from the reader. And it lends itself to adaptations with the scaffold “Kannst du…+ verb?” with other things that a book might be able to do. Below is an animated telling of the book and the whole book appears one one sheet here. “Mein Hut ist weg. Ich will ihn zurück” says Bär. He patiently asks the other animals if they have seen his hat but noone has until the deer asks a good question that jogs his memory! I like this book as it is again repetitive with Bär asking each animal “Hast du meinen Hut gesehen?” and thanking them politely when they haven’t “Schon gut. 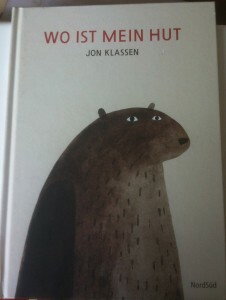 Trotzdem vielen dank” so lends itself well to class reading. It could also be developed into a game where learners hide an object whilst one of the class is outside for them to discover on their return (good question practice) or in small groups with cards, with question Hast du ……… gesehen? and reply Nein, ich habe……. nicht gesehen if they don’t have the card or Ja, es ist hier if they do. You could easily substitute the verb for gestohlen (stolen) gegessen (eaten) versteckt (hidden)and so on. So that’s two of my favourite German books – others include the Lieselotte series about a mischievous cow, and all the Pixi Bücher that you can buy very cheaply wherever you see the stand below as well as in supermarkets. I’ll post again with my favourite ebooks another time! I used “It’s a Book” to illustrate the magic of books in my mini-book preso at Language World – it’s great, isn’t it! 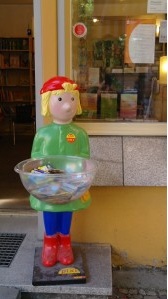 Pingback: Spanish books for World Book Day #WBD – ¡Vámonos!